Painting Books - Discover Painting Books At Vedic Books - Books From India Direct! To paint is the bring the Divine form onto paper, this is the ancient view of painting. Paintings were done to bring the viewer through the fire element and the eyes to a new stage of awareness, to open the mind and heart. 342 reproductions in colour of paintings by Agni (Giovanni Tonioni). Every line of Book I Canto I The Symbol Dawn is illustrated by a painting. With captions and notes in English, Italian, French and German. From established artists to emerging talents, Signature features an array of Gond patterns. Gond artists hail from Central India and work with an older tradition of drawing on walls and floors. Yet these artists mark their work as their own with carefully chosen patterns. A valued symbol of memories and stories, the Gond pattern is at once contextual and universal. Regarding Champaklal's artistic capacity Sri Aurobindo once wrote in the 1930s "Champaklal has a natural talent already developed to an unusual degree." 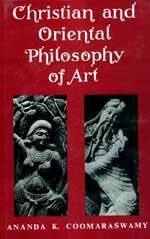 This commemorative album presents: Paintings, Drawings and Studies from Life Paintings Created by Marbling Technique on art paper Selections from Sri Aurobindo and the Mother on "Beauty and Art"